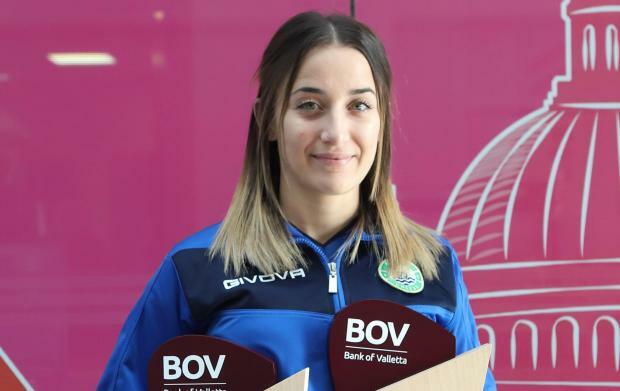 Mġarr United’s Brenda Borg is the BOV Female Player of the Month for December 2018 and January 2019. The Greens are proving to be the revelation of the season, currently in second place in the standings, and recently halted league leaders Birkirkara’s 11-game winning streak with a 0-0 draw. The Malta national team player, who boasts 122 goals in 148 senior appearances, is currently one Mġarr's top scorer this season with 8 goals, scoring her 8th goal in Mgarr’s 5-0 win over Fgura during December.